Mel Prest, Rainbow Weather, 2019, wall drawing and acrylic on panels, 128 x 140 x 1 ⅝ inches. 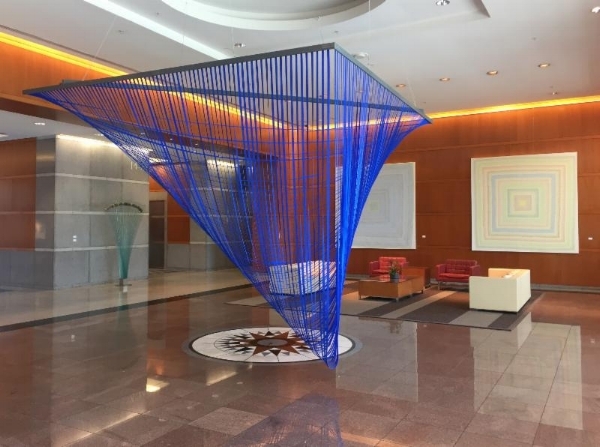 Chandra Cerrito / Art Advisors is pleased to present Rainbow Weather by Mel Prest, the inaugural edition of our Commissioned Art Program, on view April 5 - May 24, 2019. Mel Prest's work is inspired by naturally occurring light phenomena. Rainbow Weather, her new installation and one of her largest works to date, plays off moments of clarity, obscurity and high drama she sees in the sky. Rainbow Weather utilizes and expands on a series of 5 x 5 x 2" paintings on panel Prest made over the past few years, which have never been shown. Using these panels and their colors as a starting point, she created a large wall installation designed specifically for the space. 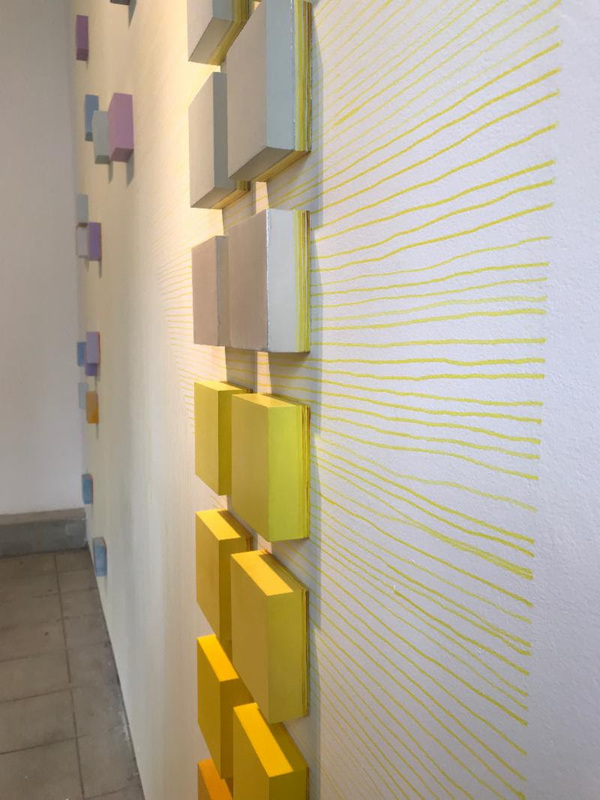 The new work incorporates several different structures: single panels, grouping where colors and internal forms play off one another, and "ladder" shapes (28 panels hung in 2 parallel lines). 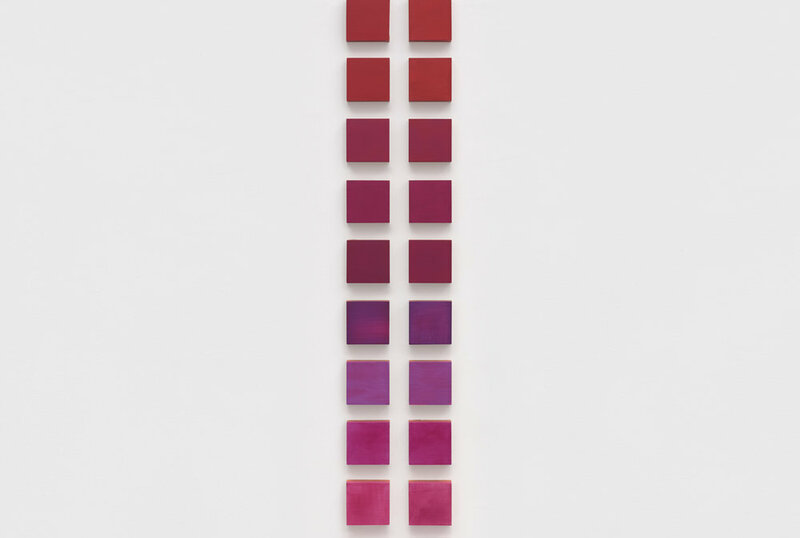 Prest has composed clusters of seemingly monochrome panels, though most have their sides painted, and some have low contrast colors painted on the surface. 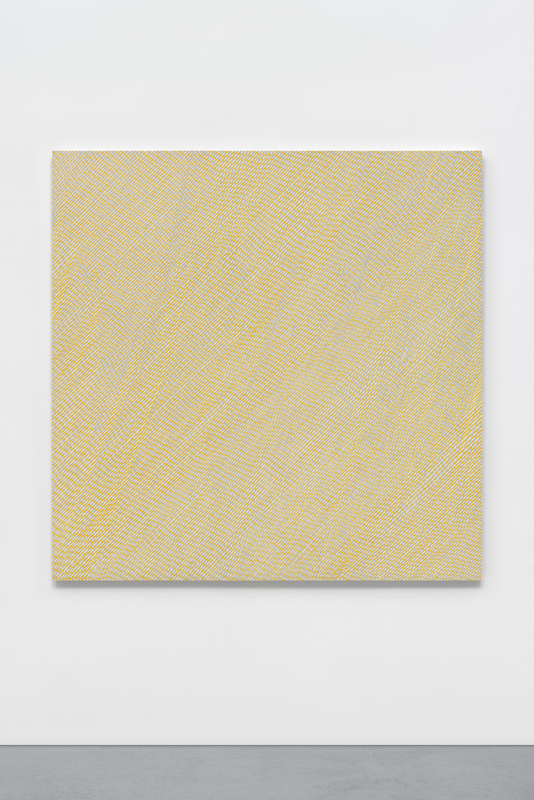 Rainbow Weather also includes a hand-drawn wall painting in pale yellow that rests under the panels, shifting in visibility as viewers move around the piece. This is the first time Prest has shown a wall drawing and painting panels together as a single installation. 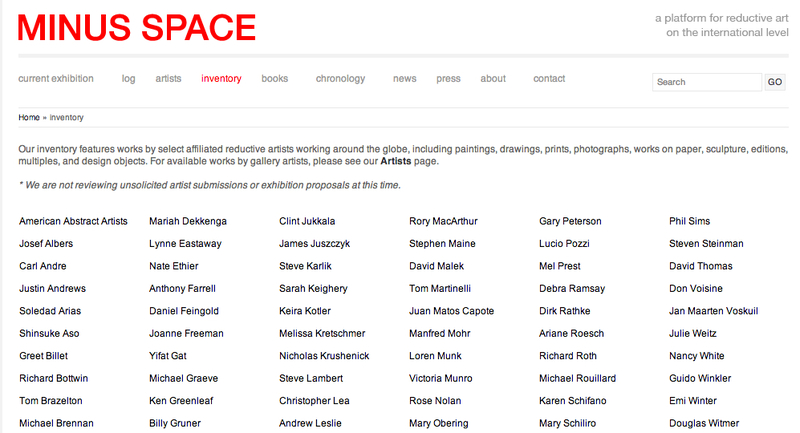 I've got work up now, curated by Ellen Hackl Fagan of ODETTA gallery, and Liz Garvey from garvey|simon. The opening is this week! 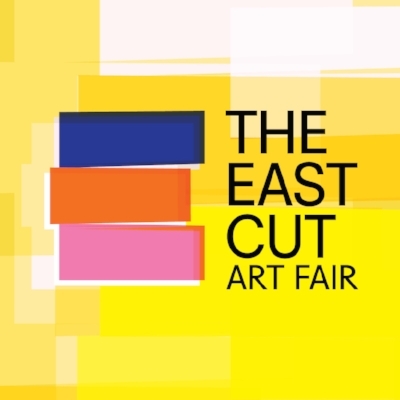 See my work with Chandra Cerrito Gallery at the East Cut Art Fair. Click image to see more and click here for a free ticket. Lorene Anderson, Eva Bovenzi, Donna Brookman, Heather Day, Amy Ellingson, Linda Geary, Rebekah Goldstein, Danielle Lawrence, Naomie Kremer, Michelle Mansour, Alicia McCarthy, Mel Prest, Cornelia Schulz, Ema Sintamarian, Michele Theberge, Canan Tolon. Art Market is coming up. Please come and see us there. 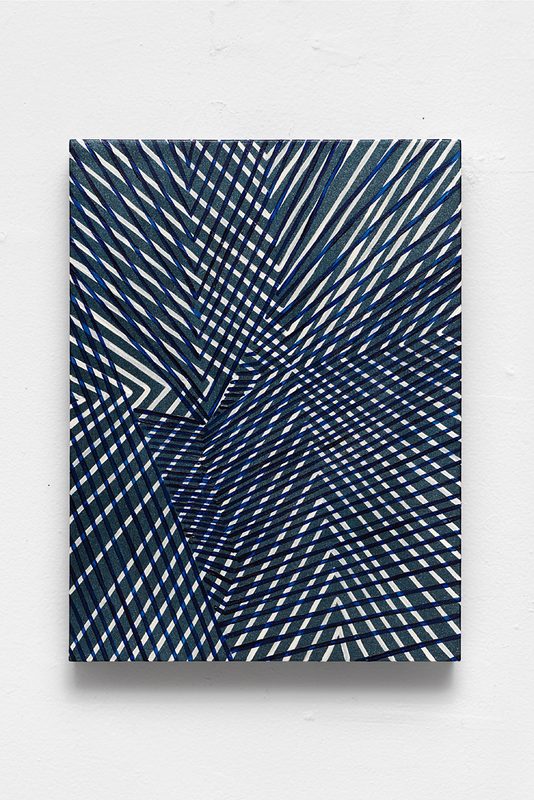 At c2c Project Space I'm excited to announce my two-person show with Martha Clippinger. You can read more about it here. In Praise of Planetary Time, my solo show at B Sakata Garo, is up through February 27, 2016. These are the largest works I've made, measuring 108 inches square, and were pretty thrilling to construct. Here is the statement for the show. I am thrilled to announce my solo show, COLOR CHANT, at Chandra Cerrito Contemporary, in Oakland, opening 6 - 8 PM, August 7, 2015. The show runs until September 24, 2015 and will include an artist talk with Connie Goldman who has a concurrent show and Donna Napper, Curator at the San Jose Institute of Contemporary Art. (new) A catalogue is available at the gallery ($10) or email me and I can send you one ($12). My work is included in the show, Therely Bare Redux, curated by John Tallman, Iemke van Dijk and Guido Winkler, at Zeitgeist Gallery in Nashville, TN. The show is installed now, and the artist reception is 6 - 9 PM, August 1, 2015. The show runs July 17- August 29, 2015. (new) The show then travels to the Clara M. Eagle Gallery, at the University of Tennessee in Murray, later this fall and opening September 29. Currently in New York, where our current show at Transmitter is OVER TIME ACROSS SPACE, with Kim Bennett & Chris Hosea. There are a lot of great events planned for Thursdays and Sundays; perhaps you can join us. I just returned from Baltimore where Transmitter and Guest Spot @ the Reinstitute partnered for the Artist Run Art Fair and Self-Organized-- Aesthetic Politics of the Artist Run. The image below is from our panel discussion. I've been accepted and will attend Willapa Bay Artist Residency in April 2015. I'm very excited for time to focus. My solo show, MoonBrightChime, is installed at Galleri Urbane in Dallas, Texas. The show runs from October 11-November 15, 2014. See Installations page for installation view. This was my work, Air Conditioned Oblivion, installed at the Drawing Center's summer show, The Intuitionists. There is a catalogue available or you can see it online. Are you in Marfa? 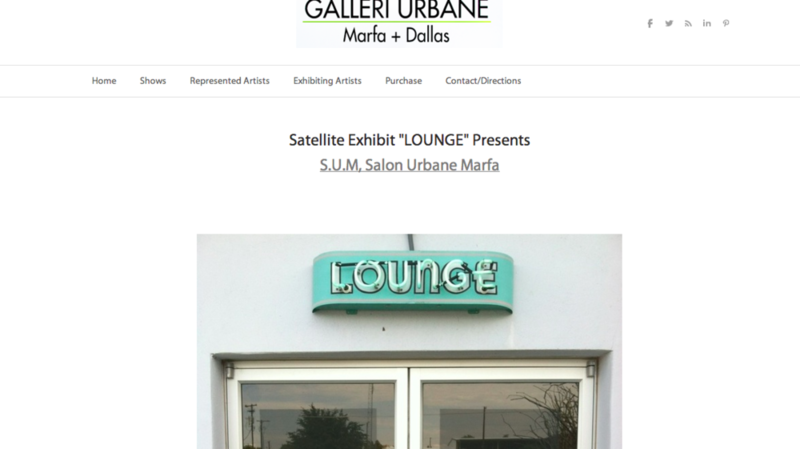 Please visit Galleri Urbane at The Thunderbird Lounge. Works by Irby Pace, Jason Willaford, Gail Peter Borden, Kate Carr, Susan O Malley, Leah Rosenberg, Mel Prest, Allie Pohl, and Jeﬀrey Dell are on view. Good News- I am preparing for my first solo show at Galleri Urbane in Dallas, Texas! Some new pieces are currently in Dallas with Galleri Urbane, if you are in town. 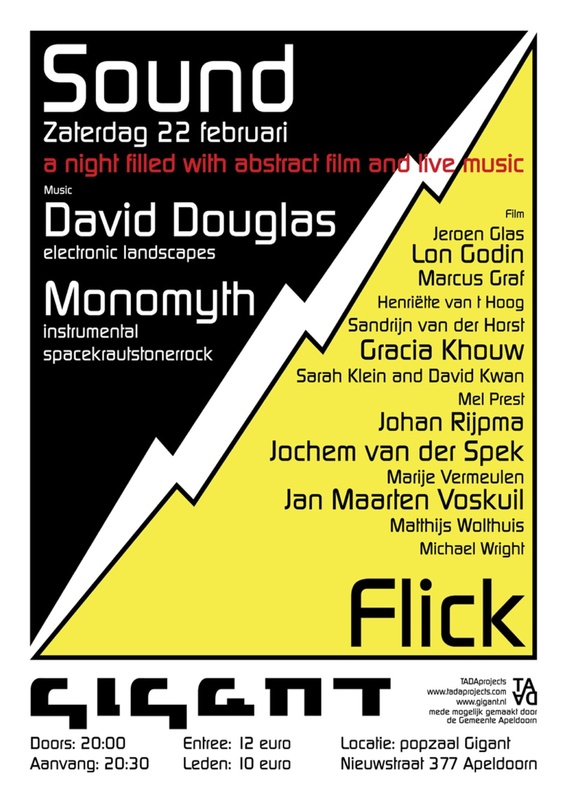 Will you be in Apeldorn, Netherlands on February 22? If so, please visit popzaal Gigant! I was invited to submit some animations by Guido Nieuwendijk and Marije Vermeulen of TADA Projects. Upcoming! A Familiar Line at Key Projects. I am thrilled to be showing with Joanne Freeman and Carol Salmanson.